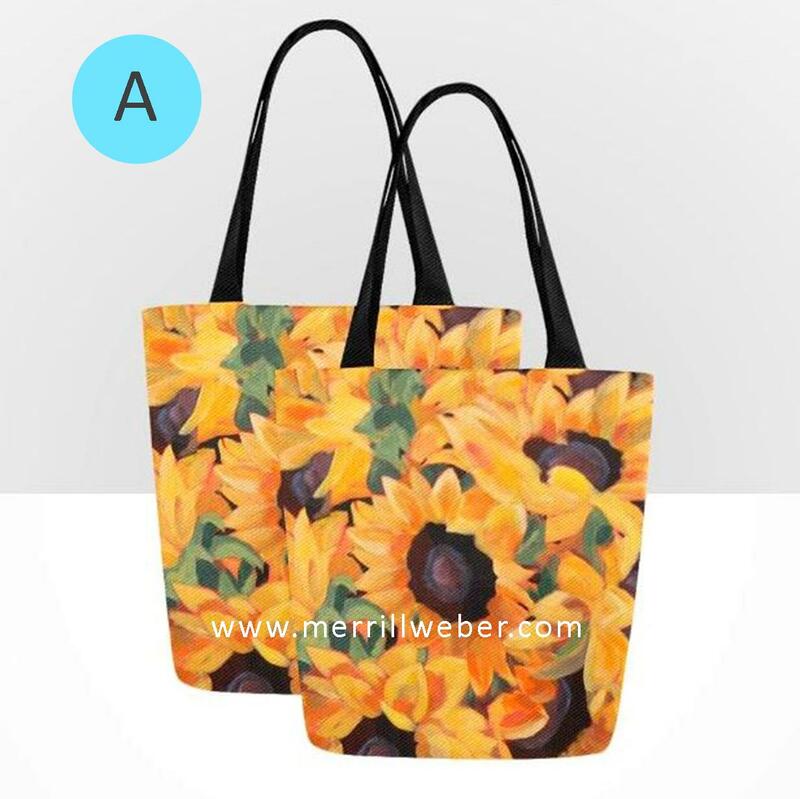 Fun sunflower art tote bags featuring the floral paintings of artist, Merrill Weber. 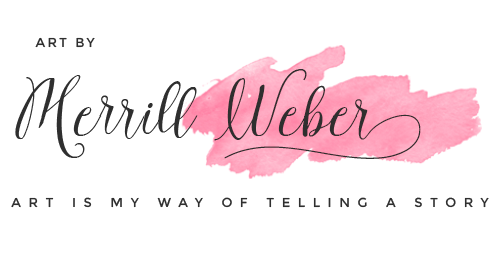 Equally fabulous as they are functional! Environmentally friendly totes are great for grocery shopping, beach trips, book club, library, workouts and school. 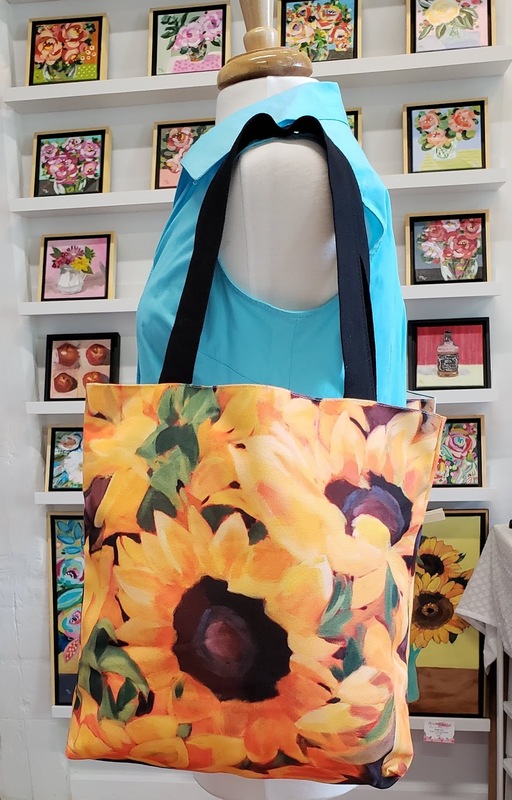 This tote features the sunflower painting "Showstopper," currently on view at The State Museum of Pennsylvania. Read more about the painting and the "Art of the State" exhibition HERE. Tote bags are $30. See all fun floral painting tote bags HERE.